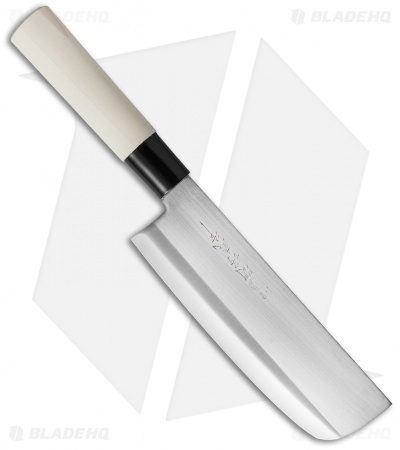 This Nakiri fixed blade from Fox Knives is a multi purpose Japanese kitchen knife. It has a large cleaver blade that is ideal for chopping fruits and vegetables. The handle is made from naturally finished maple wood with black composition trim. 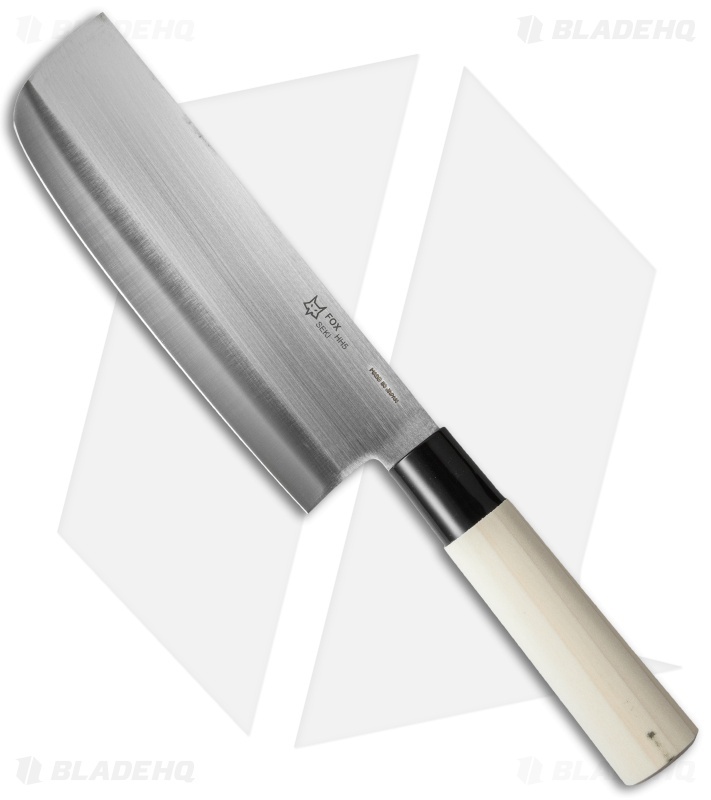 It features Japanese made quality that looks as good as it functions. The Nakiri knife from Fox Knives is a must have for any kitchen knife set.